The Capdase T-Bass Headphones is a steal-buy if you are looking for better-performing over-the-ear headphones in the market. Interested? Our REVIEW is now live in the blog, it’s for your perusal. Capdase isn't just about cases for your premium devices, the brand expands to a wide variety of product range that we could use together with our handsets. The Capdase T-Bass is a concrete example of how the popular case-maker spawned another hit product that is specifically targeted for the budget-conscious audiophiles. 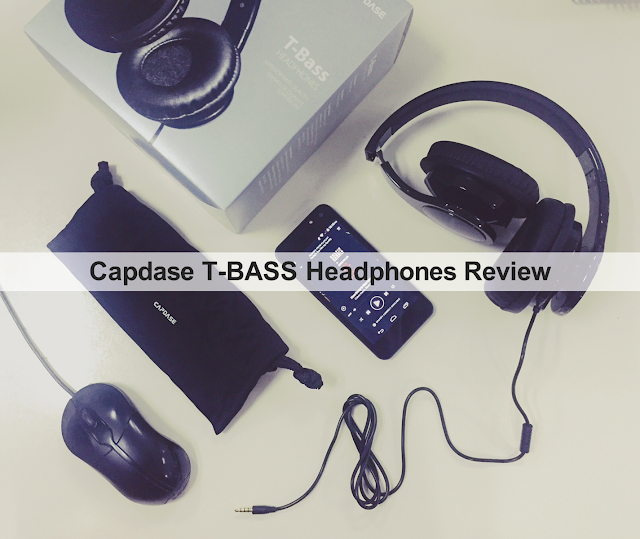 The Capdase T-Bass headphones are locally priced at Php 1580; but it covers a lot of premium-made feature set that we will be digging on our review right after the fold. Design-wise, the Capdase T-Bass headphones looks like any other over-the-ear offerings from other premium manufacturer like Beats or Fanny Wang. In terms of construction, the T-Bass comes with a glossy plastic finish available at white and black tones. The earpads highlight a stylish material that makes headphones comfortable to wear over the ears. The material is a medium-grade combination of plastic and foam that prevents sound from leaking and provides isolation from outside noise at the same time. As Capdase describes the product, it comes with collapsible over-the-head design and could be snugged right around the ear. For me, the headband delivers an ergonomic fit the first time I tried the headphones. The Capdase T-bass weighs 230 grams and is pretty solid device in a sub-2k price tag. Folding the headphones is such a walk in the park. However, I find myself being cautious not to over-bent the frame. It is also worth noting that the headphones come with a silk carrying case that could protect the T-Bass when stuffing it inside your bag. What I dont like is the fact that the cord is not detachable, it makes untagling the wires complicate at times. But for starters, everything else about the design is pretty impressive. I found the quality of the sound similar to what I've experienced in my Fany Wang 1003 - crisp, clear and not so "bassy" (which is a good thing for me). Sound elements are also accurate giving a considerable detail to any track I played using an online streaming service. You'll feel all the elements even if you are running in the lower end of the volume; I am pointing out that you can still feel the bass even if you're in minimum volume. Of course, the Fanny Wang 1003 got a cleaner and refined sound. But I think the Capdase T-Bass is more comfortable to wear. Treble is also not that aggressive, everything else is balanced especially the bass. The Capdase T-Bass Headphones is a great steal if you're in the market for affordable headphones with great audio quality. With T-Bass, you'll feel everything as much as hearing it. 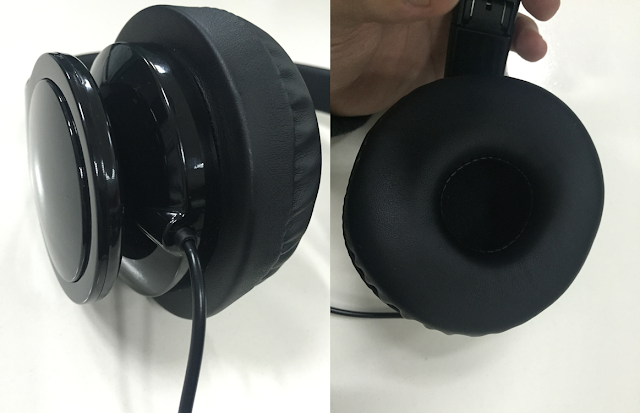 If the plastic build won't bother you, this headphones are definitely for you.